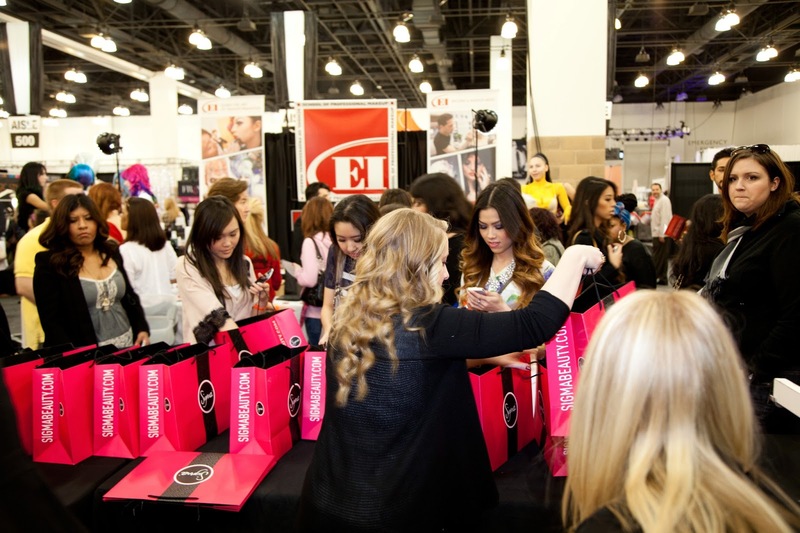 Over the course of the weekend we handed out 4,000 free gift bags and sold out of the majority of our individual brushes, as well as our Synthetic Kabuki Kit, the Resort Palette (IMATS Exclusive – coming soon! 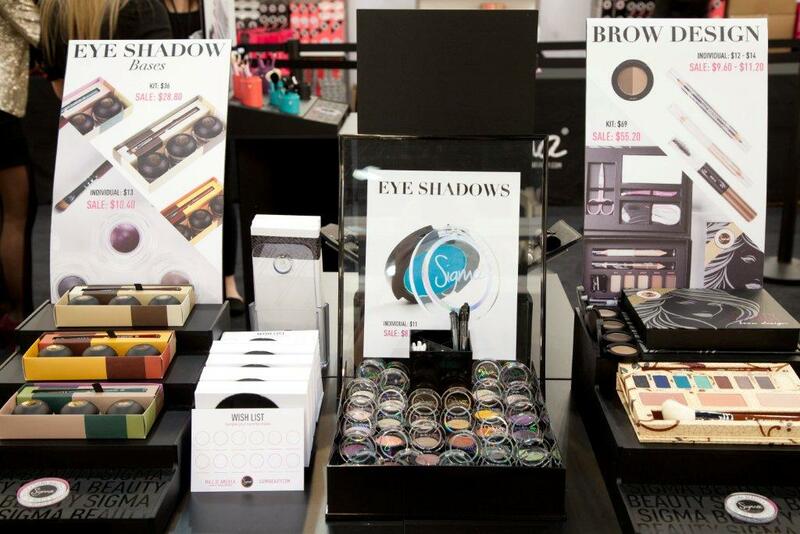 ), the Defining Eyes Palette by TiffanyD, the Performance Eyes Kit, and the Dry’n Shape. Despite the fact that we made sure to bring 3x as many of this brush than any other, the first product that we sold out of was the best-selling F80 – Flat Kabuki! We introduced people to our new products that were exclusive to IMATS attendees such as the individual eye shadows, brow products, and eye shadow bases, as seen above. We loved the excitement from our customers and their willingness to wait in line to check out all of the Sigma products and displays. Tiffany and Camila were yet again a big hit this year with their makeover booth! Each guest was given a different makeup look, specially planned by Tiffany and Camila. Both Tiffany and Camila have several fans that come back every year to say hi, bring a gift, and take a photo. 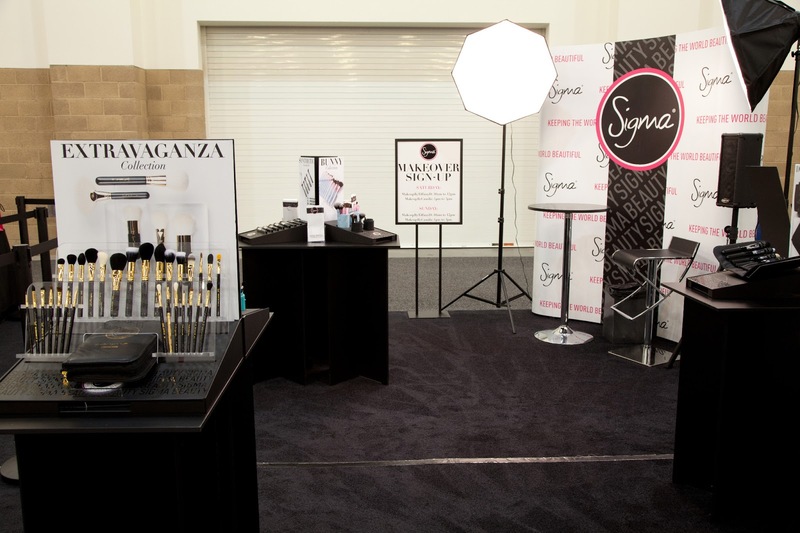 The Sigma booth is always a hotspot for sightings of top YouTube gurus and famous makeup artists! Eleventh Gorgeous stopped by our booth to visit and check out our latest products! Did you go to IMATS LA this year and visit the Sigma booth? Stay tuned for tomorrow's recap post on our exclusive VIP Resort Palette pre-launch party! Looks like an amazing time! So envious of everyone that had the opportunity to attend! Great boot, I remember the one last year, it's great that you had a lot of people, and Camila gorgeous like always! Quero estar presente no ano que vem...bjuss!! 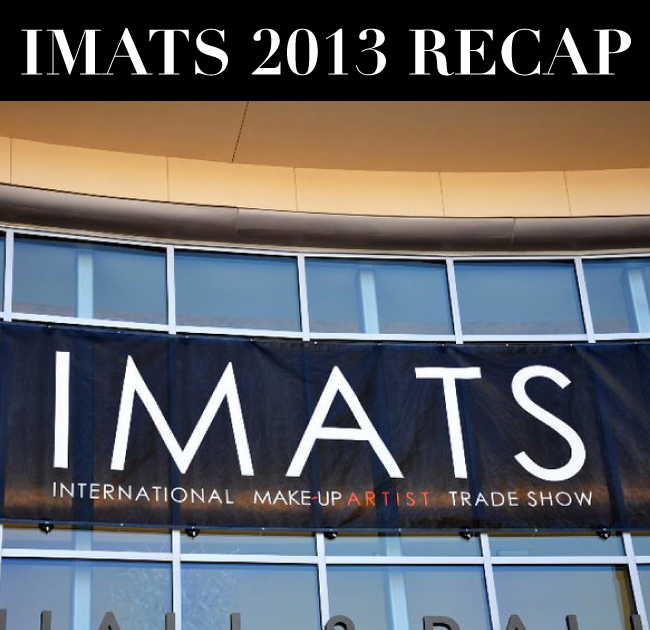 SIGMA COME TO IMATS TORONTO 2013!!!! Parabéns pelo sucesso da tua marca, Simone!